It is such a good moment of life to hear another new material from this talented indie diva. Taking the title from a surrealist painting of Frida Kahlo and, seemingly, lyrically inspired from the suicide of british classic literature writer, Virginia Woolf. She elaborated on the title and meaning of the song: "It's a song for the water, because in music and art what I'm really interested in are the things that are overwhelming. The ocean seems to me to be nature's great overwhelmer. When I was writing this song I was thinking a lot about all those people who've lost their lives in vain attempts to save their loved ones from drowning. It's about water in all forms and all bodies. It's about a lot of things; Virginia Woolf creeps into it, and of course Frida Kahlo, whose painfully beautiful painting gave me the title." 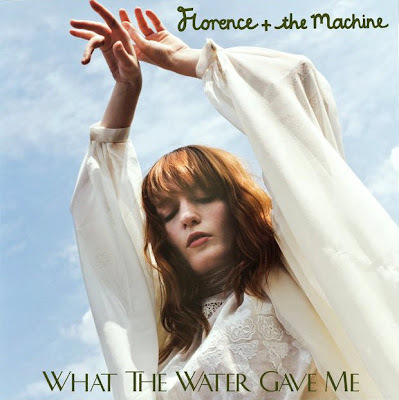 Gospel-edged organ and trilling guitars provide instrumental interest in "What the Water Gave Me" that gives it an aural depth rare in today's mainstream pop music. The lyrics leave a great deal open to interpretation, but the constant references to "pockets full of stones" and the connection of the words to the story of Virginia Woolf's death in which she walked into the water with her pockets filled with stones lend a sense of dread that constantly threatens to drown the listener. The trademark elements of Florence and the Machine music are here with ethereal vocals, harps, and the ghost of British folk-rock. However, there is a soulful power here that carries the music even deeper. In the end of the song, Welch tries a "new, softly-softly vocal style" which is similar to Liz Fraser and Harriet Wheeler from The Sundays. Commenting the sound of the song, Jillian Mapes of Billboard said that "'What the Water Gave Me' crescendos with a tribal intensity, balancing chants against an airy, whimsical harp." Spin's William Goodman called the song "a surge of gospel-tinged pop with harp, piano, and throbbing bass driving under Welch's powerful vocals" Writing for the website HitFix, Katie Hasty said: "the harp line is just about the lightest part of the song, as the bass is overdriven and choirs, major crash cymbals and Welch's quiet-loud-quiet dynamics make for sad, bombastic, rattling -- yet euphoric -- poetry." What can I say, this song is masterpiece. go get yourself a copy !!! !